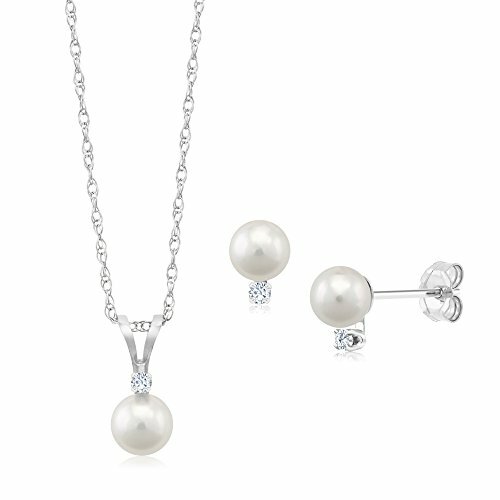 MADE WITH GENUINE JAPANESE Cultured Akoya PEARLS- This item is made with genuine authentic Cultured Akoya pearls sourced from Japan. These pearls have been carefully picked for their luster, shine, color, and cleanliness. This item is carefully crafted and delivers a sense of sophistication and elegance. PEARL- Pearl jewelry makes a classic gift for the pearl lover and jewelry collector in your life.This piece made with beautiful Japanese Cultured Akoya pearls belongs in every jewelry collection. This piece is the perfect gift for all significant occasions.